In the last 22 years, the Doom franchise has built up an enormous and brilliant modding community, however, all of this will be changing when Bethesda's newest installment launches in early 2016. 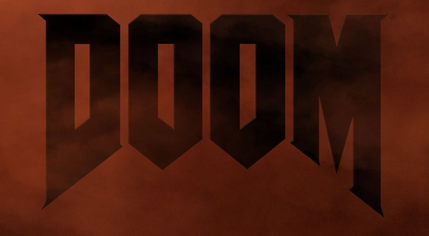 Bethesda's Pete Hines confirmed that Doom will not include mod support, excluding the tools already offered by SnapMap, which was unveiled at Bethesda’s E3 press conference. For those of you who are completely unaware as to what SnapMap is and what it does, it is a level editor that will be included with the launch, but the actual tools for building environments are immensely limited. During an interview with GameTrailers, Hines explained the reasoning behind Bethesda's decision. "Everything that we’re doing on the mod side will be through SnapMap," Hines said. "I used the analogy the other day [of] Minecraft. If you just pull any 12 year old and sit them in front of Minecraft, if they don’t know what they’re doing they could still make something: they can make a smiley face or build themselves a house. But if you put it in the hands of someone who knows what they’re doing, they can recreate Zelda in Minecraft. "The SnapMap tools are much the same. Give it to anybody and they can do simple stuff, but the complex stuff – all those things that used to be super-complicated – the idea is that there's enough complexity and depth there that you can do all this scripting stuff, and make new gameplay modes. It’s got this really steep high end, but you don’t have to jump right to it like you do with the [previous] Doom tools." Unfortunately, SnapMap still won't be as flexible as previous modding tools have been. GameTrailers proceeded to ask Hines if it was possible to create Doom 4 through SnapMap, in which Hines responded by saying: : "I don’t want to say yes for sure because of some of the outdoor stuff we do and how that works, this is more an interior thing." SnapMap's UI on PC will obviously differ from the Xbox One and PlayStation 4 versions, however, the general functionality will remain the same. Personally, modding on the old-school Doom titles was an extremely fun pastime for myself and many others. Between this and other announcements regarding this next installment, I am hesitant as to whether or not I actually want to invest money in this upcoming title. Users will still have the ability to share content cross-platform through Bethesda.net, but as expected, cross-platform play will not be supported. In all honesty, it's kind of odd to see Bethesda not taking the same approach in regards to modding with Doom as they are with Fallout. What do you think about Bethesda's announcement?